Bear in mind that my ancient philosophy is deeply unreliable; I’m just using NA as a label for a trait I think I can see amongst the “skeptic” folk one sees at WUWT and the like: an inability to abstract. Let me try to explain that by example, in case it isn’t clear. To many people nowadays, with the success of science so obvious, the idea of abstracting problems isn’t difficult. If you need to consider the motion of a ball on a surface, you begin with an abstract perfect sphere on a perfectly flat surface and ignore friction. You can then learn about Newton’s laws of motion, about momentum, – that the ball moves in a straight line unless deflected or stopped by some force, and so on. If you like, you can consider the ball to be moving on a rotating planet, and discover exciting things about the Coriolis effect. Once you’ve done all that, then you can add back in all the effects – friction, non-uniformity, whatever – that you would need to actually find the path of the ball, considered as an engineering problem in, say, accurately computing its path in the real world. The ancients (and I’m using A as an example because well known, possibly unfairly) didn’t do that abstraction, or didn’t begin with that abstraction, or it wasn’t clear to them that they needed to shuffle detail out of the way in order to understand. They were still trying to understand the whole world as it was. Which was why it was “obvious” to them that the first and most obvious property of moving objects was that they stopped moving once you stopped pushing them. An ox-cart rumbling down some rutted muddy path stopped when the oxen stopped pulling it; that was obvious, and the study of such was so mired in the nitty-gritty reality of the world that precious little progress was made until Galileo abstracted (I know, I know, I simplify: Oresme etc worked on the problem too and got some of the way there; but again, only by picking on simpler examples). A gorgeous example of this tendency is Crowdsourced Climate Complexity – Compiling the WUWT Potential Climatic Variables Reference Page. As you’ll see, it is a worthless mish-mash of text copied from elsewhere (almost all from wikipedia, amusingly; they even feel a need to apologise for that because wikipedia is well known to be part of the Giant Conspiracy Against the Truth). But that, from their point of view, is fine; because the main point of all of that is to To demonstrate that Earth’s climate system is a ridiculously complex, continually evolving and sometimes chaotic beast, with the plethora of variables, many interdependencies and an array of feedbacks, both positive and negative. On that particular page, they aren’t really interested in understanding things – they are more interested in not understanding them. But the basic failure to understand physical processes and instead wallow in irrelevant detail shows up whenever discussions of the Greenhouse effect come out (though for true wackiness you need to head off for the wilder shores); any attempt to understand radiation is instantly overwhelmed by digression into irrelevant detail. There is far more closed-mindedness over in “skeptic”-land that just this; indeed, the majority aren’t even thinking enough to get this far. But the failure to abstract is, I think, what traps a fair number of those that would be able to think, if they had better guidance. But is it not an unwillingness to abstract, rather than an inability? Distinguishing unwillingness from inability is hard. In many cases, in many of the comments, it is very clear that the answers are known, to a certain degree: anything fitting the std.picture must be wrong, and ideally should be risible as well. Given that start, it is very hard to get anywhere sensible. And since many of these folk don’t get out much, and never had any of the basic training, many of the “facts” they know are wrong. Sounds like they are close to discovering Irreducible Complexity. Well, I think the climate can be largely understood, but I don’t see it happening anytime soon. As you know, it took over two centuries to get from Newton’s theory of gravity to Einstein’s theory of relativity – and we still don’t fully understand physics yet. Climate science is young, and like Newton, it has to deal with religious/irrational thinking which delays advancing the science – that there is one prime cause, not God, but Man. Abstract thinking requires being humble, accepting that you might not have all the answers, instead of seeing everything through only one lens. [Nicely abstract, and you deliberately avoid judging. But discrimination is essential, to remove dross. What do you make of the “there is no GHE” folk who hang around WUWT? Why do you think so few people – almost all of them visiting folk like me – call them on their trash, and why so few of the regular do? Do you think they don’t realise its trash, are wearily resigned to the junk-filled threads, or that they don’t want to upset folk on “their” side? Honestly I haven’t really noticed them; perhaps I don’t read enough comments or the right articles. I was under the impression that most people at WUWT recognized the existence of the GHE. True, but anyone who withstood a well-aimed artillery barrage in the 19th century would’ve understood that newtonian mechanics is good enough for government work. Even today, it stands as a reasonable abstraction of the kind William’s talking about. We can strip the computational complexities introduced by relativity most of the time. We’ll learn more about climate, certainly. but this will be a refinement of what’s known today, not a revolution. Stoat, very good post. The thing that I see (just my opinion) is that you could write almost the same post about the “believeres” that hang at say RC. Though less in volume, I find that both sites have regulars that repeat the same stuff, i.e. DK effect, that is a strawman, scientists lying, etc. I feel though (again, my opinion, no back up data)that the majority of us who frequent these blogs, post very little, but try to the best of our ability to seperate the wheat from the chaff. After a couple of years of being involved, I can now scan for names that I trust will have an informed opinion. The rest are just noise that like the boy crying wolf is totally ignored. MAybe it is just me, but I will listen to those who put forward a logical statement and in my own way try to decide if it is acceptable to me. In the big picture, I get that this is non sense, but as you say, without the formal training, it is the best that I can do. By the way, did you have a chance to review the paper on the East Artic iceshelf that I left an addy too? Or should I be asking Dr. Steig about that one? [Ha, have you not yet learn that the internet is write-only ;-? That one… I recall, that people used to (well, and clearly still do) wonder about exactly where past sea levels changes came from / went to. For which you need either obs, or models, of Antarctica, E and W, and Greenland, and Laurentide, as the major players. And you can argue that Gr is only 5m as is W ant (all this from memory) so anything over 10m has to involve E Ant, and maybe that tells you something useful about the stability of E Ant. But… it became clear to me (from talking with the glacio’s at BAS) that none of that was simple and required close stufy to get into, which I didn’t do. As a tool to understanding the models are doing an excellent job. And if the models are doing a good job then we can understand climate enough to attribute the current climate change to human activity. Arctic Ocean in the 20th century.” The authors use MIROC 3.2, a version released in 2004, to investigate the Arctic Dipole (AD). They find that MIROC 3.2 reproduces the AD. The timeline is interesting. The AD was first identified in 1995 by Wang, Van der Baaren, and Mysak, but they didn’t pursue it. So the AD remained a little known aside in the science of the Arctic atmosphere until April 2004 when Wu et al identified it as the second EOF mode of varibaility in the Arctic atmosphere, the paper submitted that date was published in 2005. MIROC 3.2 was released September 2004, before publication of Wu et al. MIROC was the result of over a decade of preceding modelling. So you claim that the climate isn’t well enough understood to say humans are responsible for AGW. In the face of that we have a model that doesn’t show the changes in the Arctic when forced with only natural forcings. A model that, among others, was used by Overland and Wang to bring forward projections of a seasonally sea-ice free Arctic to around 2030 because of it’s skillful reproduction of the seasonal cycle of Arctic sea ice. A model that reproduces the AD, is based on a decade of development, and was released prior to the publication of the first paper formally identifying the AD. The AD has since been found to be a prime mover in the changes in the Arctic, and is now reasonably seen as a forced response to AGW. I suggest that you simply don’t know the subject of which you speak well enough to form an opinion of merit, and that your claim that we don’t know enough about climate to blame the current climate change on humans is baseless. If climate science wasn’t viable, it wouldn’t be. So in that sense climate is largely understood. We will never understand a science “fully”, that is a strawman for science and asking for a gap. In effect, confirming what the article says. As it happens, The Laws Underlying The Physics of Everyday Life Are Completely Understood, so there is very little gap left. And none to hide climate science in. I will listen to those who put forward a logical statement and in my own way try to decide if it is acceptable to me. In the big picture, I get that this is non sense, but as you say, without the formal training, it is the best that I can do. No, no, no. That is the worst you can do! There is no scientific debate here any longer, so there is nothing that can be personally acceptable or not. What one can do is reject the science, which indeed is a personal choice but a terrible one. Try that next time you jump out of a plane, leave the parachute and see where that gets you. It is much better, whether one labor under the Dunning-Kruger incompetence of climate denialists to learn the simplest stuff (which is after all behind the problems the article points out), or simply lack of education of ordinary people, to abstain from rejecting what science learn. Yes, we always see the successes of various processes like science, but we rarely remember the failures. You assume history will describe AGW as physics, while I expect it will be described as phrenology or alchemy. Politics is the same way. People see the “good” of massive government spending and jobs, but they don’t see the broader harm caused by reduced capital for private businesses, inflation, and the misallocation of resources. I agree with the principle, but understand that the process is neither foolproof nor immune to basic human prejudices. No point in getting into it, but I disagree that the models are doing an excellent job. Perhaps I don’t know it well enough, that is certainly possible, but my claim isn’t quite that we don’t know enough about the climate to blame people. My claim is that we don’t quite have enough data to make that claim. I think the puzzle will be solved within three decades at the most as the satellites measure our climate through various natural cycles. What they taught me in college amounted to ‘within three decades everything you know will be wrong; what matters is to keep learning’ — and they were right. Every time I look up something I think I knew, all I had is an old memory, and it’s a poor sort of memory that only works backward. A lot of deniers seem to share a common character trait: they won’t believe anything until they’ve worked it out for themselves. That trait probably doesn’t predispose them to abstaction. It’s common to the the half-wits and the really rather clever: the only difference is the pitfall they fall into. The half wits lack any sort of ability to process the evidence and fall into traps that would be laughable to a class of school children studying science; the really rather clever fall into traps that scientists themselves fell into a decade or two ago but now know about. The more climatic variables there are, the more there is that is necessary for them to understand, and the more inevitable is the fact that somewhere they will fall into a trap and convince themselves that they have uncovered a flaw in the science. Just because I haven’t read as much as you does not mean I’m totally ignorant of it. I understand the basics, probably a bit more than the basics, and using my judgement I’ve decided the most likely explanation for the rise in temperatures is natural. I’m not simply going to abdicate my own reasoning process just because I’m told that I’m ignorant. I’m not going to blindly accept evidence without evaluating it with, once again, my personal judgement. As I’ve said before, I want people to understand the “party line” of climate science more. Most know very little of “positive feedbacks” or how the models rely on them for the scariest scenarios. I think such knowledge breeds skepticism. And what do you mean by “positive programme?” Do you mean skeptics have no explanation for the modest warming we’ve seen? I think you know we do – you just reject our explanations like I reject the predominantly anthropogenic explanation. It’s an old problem. “If I can’t understand it, then you can’t prove it”. WUWT is a mutually self reassuring crowd that exists to help people feel safe in their ignorance. Anything that will jar them out of their comfort zone will be removed. Anthony also tells us what he really thinks. He quotes someone I presume to be a young student. “I come here every day. This is my home page. I love the science, I love the way it is presented and I love reading the comments and thoughts from so many very intelligent people. But I also devour any news on the political front. I crave and seek out every snippet of good news, and believe me, this is good news. That comment made all his work worth it. They don’t consider the implications of things because that would lead to the wrong answer. They are self centred, everything has to be related specifically to them and their conceptions of the universe. Hence their denial of warming or mechanisms or suchlike. They don’t understand it, so neither can anyone else. In fact thinking about it, with Aristotelian logic, A is A. These people seem quite at home with the idea that A is B is C is whatever, here look lots of shades of gray, so many shades we can’t count them. So they aren’t aristotelian. How about PLato and his cave? They seem to be denying that we can get any further than the dancing shadows on the wall. @WMC Well, there are a couple of problems with your argument. For one, you are comparing a group of people, skeptics, with a “std.position.” You are not comparing like to like. [Absolutely I’m not comparing like to like. The std.scientific_positition is coherent, and supported by solid science. The wildly disparate denialist positions are mutually incoherent and none of them have a leg to stand on. If you were to compare climate scientists or earth scientists with skeptics (groups of people) then you’d find a diversity of opinion as well. Some of those position may be a minority view, but they are a diversity nonetheless. Some of the criticisms about skeptic positions are against minority views – like the lack of any greenhouse effect. In any case, finding an absolute lack of diversity of opinion and thought is more in line with religious dogma than science. I’ve said before that I think we have an effect. I’m just not entirely sure of how large an effect it is and I don’t subscribe to the theoretical notion that positive feedbacks will amplify our actions to create catastrophic warming. I thought I’d made my basic position fairly clear. Most, or a significant portion, of the warming has been natural, partially due to the ending of the Little Ice Age, some anthropogenic influence, and a misinterpretation of oceanic cycles as linear anthropogenic warming. This seems incredibly obvious to me, but as I’ve said before, people judge things differently. A lead on the left can co-exist with a lag in the second term on the right. Some of the arguments around the violation of the 2nd law seem to exhibit a similar inability to add or subtract. WC I think you’re giving a whole load of people displaying character traits somewhere along the scale from mendacity through wrong-headedness and gullibility, rather too much credit! To my mind the WUWT types that act as saps for unsavoury agendas and the people that feed them rubbish are likely pretty average when it comes to being able to think abstractly – it’s simply that they consider “science” to be subservient to politics. Choosing to believe that contemporary global warming is “natural”, isn’t that different from choosing to believe that the Grand Canyon was created in one fell swoop in the great flood, or that HIV isn’t the cause of AIDS, or being suckered into disregarding evidence for a link between aspirin-taking and Reyes syndrome in children, and the dozens of other pseudoscientific “positions” that self-serving agendas attempt to get people to buy into often against their better interests. The fact that much of this is played out in the US is telling; pseudoscience misrepresenters play “hard-ball” there. Creationists set up entire Colleges and “universities” (e.g. Patrick Henry College, or Bob Jones “University” or Regent “University”); there’s a virtual industry of misrepresentation coming out of so-called “think tanks”, and one doesn’t have to send much time in the US to be aware of some appalling media misrepresentation of science. Once you get people to buy into the politicisation of science, it’s not that difficult to “sell” them packages of beliefs. Happily, there are some outstanding American institutions that are focussed on finding stuff out (e.g. the National Institutes of Health, the excellent US University system), and history tells us that the science wins in the end. As usual the question is how much damage to people’s well-being is done in the interim. Don’t think these guys are displaying an inability to abstract, so much as adopting a packaged set of “beliefs” that goes with their particular chosen sociopolitical status…. Personally, I think it’s the general inability to deal with large, very large, extremely large numbers. And as the OP states, climate science is really simple physics. Same energy in, less energy out, more energy retained. The only issues remaining are when, where and how that increased energy shows up. Scientists merely have to decide what data they need and find the research time and staff to do the needed work. For human comprehension, we also know that if CO2 were visible and odorous, like sewage in water for instance, people’s understanding would be much, much more straightforward. Getting enough people to understand just how many tonnes of invisible, and imperceptible to other human senses, gases we have released and allowed to remain in the atmosphere – and continue to accumulate – is pretty difficult. But we’ve been able to get people to understand many other invisible processes, namely medical ones. Most of the medical action occurs inside our own and others’ bodies and only occasionally shows up in perceptible or visible symptoms rather than in signs that medical technology can pick up only when we look for them. And epidemiology is unrelated to any particular person’s state of body or mind. It’s all down to collecting aggregated data and analysing for signals and trends in population sized strengths and weaknesses. And we do get people to understand this. People do get vaccinations and go for screening tests and give up smoking. They comply with regulations about clean water and sewage and other waste management. They report unhygienic conditions in food preparation businesses and they do up their seatbelts. And, to avoid SIDS, they no longer put babies to sleep on their tummies. All these health measures were opposed by professionals, politicians and the population at large in varying degrees. The arguments differed very little from those we see in relation to climate science. We get back to big numbers at this point. The climate issue is much bigger than the foulest stench of the Thames or any other river that becomes an open sewer. Both in the numbers of people affected and in the scope of the actions required to remove the problem. that may be true to an extent adelady (i.e. getting people to understand truths whose evidence base is outside their direct perception can be difficult). However once you stop lying to people (a.k.a. misrepresenting the science! ), people generally do incorporate the evidence into their belief system. Now that everyone knows the truth about the effects of ciggie smoking, there aren’t too many that deny causal links between smoking and increased risk of lung cancer and respiratory disease. Once the various “think tanks” used up their supply of misrepresentations of the evidence connecting aspirin-taking to Reyes syndrome in children in support of some sectors of the pharmaceutical industry, the US government did eventually stipulate appropriate labelling of aspirin bottles…. It seems to me that deconvoluter’s idea (post #19) that the concept of lead-lag relationships with respect to changes in [CO2] and temperature is difficult, similarly underestimates the ability of individuals to understand concepts if these are presented and received honestly. The dynamics of climate change is more Aristotelian than Newtonian. As a general rule, if you think Aristotle was being silly, you have misunderstood him, probably on the basis of those who like to promote themselves and their philosophies as being “modern” (the renaissance humanists and Bertrand Russell being two egregious examples). If anyone was able to abstract away things, it was Aristotle. And if you think this is a problem of the medievals, you’d be equally wrong. Oresme, among others, did critique Aristotle’s physics of motion, but let it be noted they did not replace it with anything much better apart from rough ideas of impetus. “Anthony also tells us what he really thinks. He quotes someone I presume to be a young student. I just threw up a little bit in my mouth skimming through the comments. Re : W’s remark following #24. I stand corrected. The full sentence, without any dots, would have been the best choice. As for using initials, I do it myself all the time , but in this particular case, some of your very rapid readers might have gone away with the notion that I had been quoting from Roger Pielke. I think in many cases they don’t realize it’s trash. If it does not make sense to them, they think it must because they have not grasped the finer points of the argument, but don’t like to say so. Have you noticed how few requests for clarification come from people who apparently think IPCC is wrong? One of my favorite comments at WUWT was something like ‘It’s above my level of understanding, but your post really nailed it.’ It’s largely about Authority. I don’t often visit there, but prompted by a link from here, I’ve been trying to get a certain Theodore White to say why he accepts the arguments of Gerlich and Tscheuschner (that global warming would violate the Second Law of Thermodynamics) as being authoritative, but his replies have been largely bluster. Most, or a significant portion, of the warming has been natural, partially due to the ending of the Little Ice Age, . . The end of the Little Ice Age was a result, not a cause. You need to step one back – what caused the end of the LIA? This is similar to vague claims about natural cycles contributing to global warming. Those making these types of claims are using circular logic, basically saying that the results of natural processes are, themselves, the causes of those same results. Newton here asserts unequivocally that Pythagoras discovered by experiment an inverse-square relation in the vibration of strings; that he extended such a relation to the weights & distances of the planets from the Sun; and that this true knowledge, expressed esoterically, was lost through the misunderstanding of later generations. Would be hard for the ‘ancients’ to be more abstract than that. W – I have to spell it out? The ISL is the literal, which derives the higher concept [& Newton does the number crunching]. Ergo, ‘New Aristoleans’ should exhibit clear abilities in abstraction, not the absence of such. [Sorry, but that was still obscure. The sqrt law works for strings and their notes, yes. But the equivalent stuff they did with planets – that was just numerology. It was more an example of false analogy than anything else. The Pythagoreans believed that the universe is ruled by numbers, which could be regarded as true, but not in the way they thought. Well yes GoodLocust, most people that want to understand stuff “judge things” based on evidence and the wider knowledge base! If warming due to the recovery from the volcanic- and solar-induced LIA was still making a substantial contribution to 20th century and contemporary warming, then the response time for the climate system to come to equilibrium with a forcing must be very large indeed and so the climate sensitivity must be way on the high side of evidence-based ranges. You seem to be in complete contradiction not only with the science but also with Dr. Lindzen (who as you may know as one of his defenders, pretends that the climate equilibrates almost instantaneously with a forcing – that’s one of the deceits he uses to “finesse” a low climate sensitivity). Your notion that “ocean cycles” is a major contributor to warming is incompatible with the evidence in two respects. First, the group that have probably analyzed this in most detail have determined that the overall contribution of climate cycles to 20th century and contemporary waming is approximately zero (see [*] below). This isn’t too surprising since ocean cycles can’t generate massive amounts of heat over long periods of time. Of course over short periods (e.g. ENSO timescales) changes in efficiency of cold-water upwelling, or draw down of warm surface waters can affect surface temperatures. But long term cumulative recritment of warm waters to the surface where surface temperatures could be influenced would mean a long term substantial loss of heat from the oceans as this was dissipated to warm the surface and atmosphere. However we know that contrary to this notion, the oceans have and are absorbing humungous amounts of heat from the atmosphere. We know this because we can measure it, and because we can assess the proportion of sea level rise resulting from thermal expansion of the oceans. I think you’ve fallen into the trap of using other people’s arguments (I do it too). You may not realize this, but there are a wide variety of views on your side as well – such as the boiling oceans/extinction of all species within centuries we’ve been talking about elsewhere. I don’t expect you subscribe to such ridiculous notions, but they are on you side and promoted by prominent figures. Again, compare people to people or specific position to specific position, your side has no specific position other than “man is doing it and it is really bad.” My side’s general position is even less specific since many of us agree we are having an effect. The IPCC clearly has far too much grey literature to be taken seriously – and the power politicians have over its words is ridiculous but not unexpected. Wasn’t it us skeptics who pointed out some of the ridiculous myths promoted by the IPCC? Even if you think “denialists have so many positions” is a terribly strong argument it has no bearing which positions contain the most truth. As is your side regarding some of the Hansen/Gore/IPCC claims. And you still have people arguing with me here that boiling oceans within centuries is plausible. What am I against? I accept many things in the IPCC reports. I simply have a skeptical personality regarding certain extrapolations and other claims. I’d say I’m “for” a longer look at what is going on. I’m “for” a proper cost-benefit analysis of stupid policies like cap and trade and spending vast sums on inefficient technologies that make some people feel good (e.g. solar). I suppose I could try, but I suspect you won’t like my sources just like I am skeptical of some sources people on your side use. My positions aren’t entirely without merit (I’m sure you disagree). My guess is that you attributed recent warming to solar influences, while my best guess is that it is the PDO. I don’t consider CO2 levels changing from .032% of the atmosphere to .039% as being exceptionally large (the 50 years of measured data at ML) – especially consider how high CO2 has been in the history of life on this planet. I do think people who fret over Fukushima don’t understand large numbers though. An increase in solar activity – an increase that continued until about the 50’s. The only thing I’m vague about is the PDO. I don’t think it is contributing to “global warming” in that it is cyclical and simply being misinterpreted to be a longer warming trend caused by CO2. The cause of the PDO, I believe, is up to some debate, but I assume it is at least partially solar in origin. > they are more interested in not understanding them. This might fit, actually. The one percent of the population number seems about right. Well, I’d say the second quote qualifies you as being quite (though perhaps not totally) ignorant of climate science. Though given that that “man is the prime cause of climate” (what does that mean? climate change?) isn’t a precept of climate science one wonders if you aren’t totally ignorant of climate science as a discipline. It’s a strawman characterization that’s not even close to being true. My understanding of Aristotlean philosophy was that they believed that all problems could be solved by debate, and it wasnât until Galileo came along that the realisation that experiment and data were necessary â AKA the scientific method â that that really changed. But I suspect your self-confessedly weak understanding is better than mine, and I havenât time to research it now. On the climate issue, though, the point you made that struck me was about people not believing it until they could actually repeat it themselves. Now, I was first drawn to the climate debate by a letter in the magazine of the professional association I belong to spouting obvious, numerically illiterate nonsense on the subject. This annoyed me, as I care about my profession, so I wanted to respond. I researched the reality, mainly using the IPCC reports, and actually did the basic maths to ensure I understood the concepts. I learned a lot as a result; the need for positive feedbacks, the PETM, the causes of ice ages, the range of uncertainty of sensitivity, the very long timescale of many effects such as sea level rise. I wrote a letter responding. I wonder what I would have done had the basics been beyond me. An area where this does apply is particle physics. String theory, multidimensional universes, supersymmetry appear to me to be grasping attempts to understand something which we have no satisfactory model for whatever. I totally lack the ability to replicate any of the results. I guess this is how climate science seems to deniers. Would I be accepting of the need to change public policy as a result of supersymmetry, if the physicists claimed some future disaster based on its forecasts? Probably not. Maybe Iâm as bad as they are. re #32 GoodLocust; now you’re trolling. Earlier you stated that current warming has a significant contribution from the ending of the little ice age (which if true would indicate an extremely long climate response time and a large climate sensitivity – see my #31 just above). As some sort of supposed justification for that you dump references to evidence for a solar contribution to the LIA. But that’s a logical non sequitur. No one doubts that the LIA had a major solar contribution (with a bit of a volcanic influence in more sophisticated analyses). What has that got to do with 20th century and contemporary warming? Your reference to Compo and Sardeshmukh (C/S) has almost nothing to do with your supposed “ocean cycles” and their effects on the global surface temperature record. C/S provide models that indicate that warming over continents is greatly influenced by sea surface temperaure (SST) rather than by direct local effects of radiative forcing. There’s nothng particulalry surprising about that. We know that the gloabl surface temperature is dominated by the oceans; the fact that we have massive oceans is the reason we continent-dwellers aren’t being cooked by the massive enhancement of the earth’s greenhouse effect. That’s why the Earth takes a considerable time to come fully to equilibrium with changes in forcings so that we have a large smack of warming still to come from our recent and current greenhouse gas emissions. The oceans are keeping the continents a good bit cooler than would otherwise be the case, and when the ocean surface is particularly warm (e.g.during El Nino episodes) we feel it on the continents. None of this is controversial or very difficult to understand GoodLocust. Since C/S state specifically that the cause of ocean warming isn’t a focus of their study (see e.g. section 5 on page 340), one wonders how you can use their paper to imply a role for ocean cycles in global warming…. But how can we tell whether the earth’s climate is an ox-cart or a cannon-ball? Generally, difficult scientific theories win popular acceptance by making unarguable predictions – you can laugh at the incongruities of quantum mechanics if you like, but all those electronic gadgets still work. The problem with the science of AGW is that it has implications people are reluctant to face, whereas its major prediction – that the earth is warming up – is demonstrably true only about one year in five or so: the rest of the time disbelievers can go back to assuming that feedback effects have taken over and warming has stopped. Perhaps the only way to persuade enough people that the science is definitely right would be to develop understanding of “decadal variations” to the point where we could actually predict temperatures for the next ten years. Failing that, we should argue along the lines of “what sort of odds do you want to take the risk of knackering the planet when the only upside is using up fossil fuels that much faster?” That shifts the burden of proof far enough to make the case unanswerable. However there is a problem with Aristotelean scientific philosophy which does have echoes in the common responses from the denialist side. That is a very confused, or at least inconsistent grasp of causation. We have abandoned three of the four types of causation that Aristotle advanced, the Material, Formal and Final causes and science has adopted the Efficient cause as the basis for cause and effect although there are subtle differences. There are responses from the denialists that appear to confuse a description, a version of the Aristotelian material cause, with the scientific explanation or narrative of cause-and-effect, a version of the efficient cause. labeling a change in the climate as ‘natural’ provides no explanation of a causal process. It is a purely descriptive statement. It merely asserts, without evidence, that the observed changes have a CAUSE that is independent of human influence. Without any attempt to provide a causal mechanism for that putative ‘natural ‘ process. Notice that even when conceding that there is ‘some anthropogenic influence,’ the CAUSE of the influence is omitted. How ocean ‘cycles’ can explain the CAUSE of the consistent measured rise in ocean heat content is obscure to say the least! all those Peta-Joules have to have come from somewhere…. occurs in a very few years. Shouldn’t this give us an order of magnitude limit on the time to recover from a transient forcing responsible for the LIA? I’m not sure what part of that was trolling. I don’t think pointing out that your side also has wingnuts (i.e different positions) is trolling considering what we were talking about. Well, the party line seems to be that “CO2 is the primary driver of climate” with the implicit assumption that our CO2 emissions are changing the climate. That isn’t a strawman at all – that is 1+1=2. Indeed if it was still affecting the climate then the response time would be very large. However, I do not believe it is still making a contribution. I judge the “recovery” period of LIA by the sunspot records, which indicate increased solar activity (not just TSI) until about the 1950’s. My guess, and I could certainly be wrong, is that the response time is mostly around the length of the PDO (AMO a bit) – about 3 decades (perhaps 6 if you counted a full cycle). This would indicate to me that the warming from the LIA recovery would’ve ended around either 1980 or now (my guess would be 1980ish). That warming would be in the system (the oceans) but not necessarily showing up in the surface station record until it cycles into the atmosphere. Presumably once this happens we’ll then be at the new equilibrium caused by these higher levels of solar activity – but perhaps I’m wrong about that and it’ll take longer. Not a contributor to warming – a contributor to measured warming. Not really, the ocean can contain an order of magnitude more heat than the atmosphere. It should only take a small amount of heat going from the oceans to have a significant effect on the surface station record. It would be further confused by the PDO/AMO acting in opposition – and that such additional heat may be due to us reaching our new equilibrium post-LIA. I consider it incredibly obvious because the heating/cooling trends in the surface station record almost exactly match the PDO to the year. Centuries after the fact and they blame volcanoes? That wouldn’t have anything to do with blaming the pause/cooling in the warming from 1940ish to 1980ish and the current pause on sulfates now would it? Yes, they do “almost” say nothing about it, the point was simply that the oceans dominate the climate and the causes of their warming are not as clear cut as some would make them out to be – they blame the sun, CO2, volcanoes (presumably a lack) and oceanic cycles, which is pretty similar to my position although I think the volcano stuff is overplayed. Weren’t you just criticizing me for saying the heating from the LIA had a bit of a lag time? Read down further, I said the LIA was solar in origin. They don’t cause the heating. They just muddy up the record a bit by delaying and obscuring heating from other sources. Given the measured magnitude of solar variation that implies a very high value for climate sensitivity. And given the relative magnitudes of the energy difference between the solar output during the LIA and the 1950s compared to the energy difference between pre-industrial and present atmospheric CO2 levels it has worrying implications for the trajectory of the future climate. The increase seen in the ocean heat content is clear in the post 1950s record when you suggest solar effects had ceased to be a factor. The PDO/ADO/AMO/ENSO alphabet salad may be invoked to explain sea SURFACE temperatures that influence and are magnified by land surface measurements. But the ocean heat content shows only small variations from these cycles away from a consistent rising trend. It is clear from the OHC record that the amount that the ocean cycles ‘muddy up the record a bit by delaying and obscuring heating from other sources’ is very limited when you measure ocean heat content. That still leaves a very big source of energy to cause all that measured thermal expansion of the oceans. And melt all that ice. Its not coming from solar variation, the sign is wrong. That leaves albedo changes, either in absorption of the energy in the visible band from the Sun, or in emission of energy in the LW band from the surface/atmosphere. That increase in energy in the oceans has to have a CAUSE. Radiative forcing produced by explosive volcanic events that have occurred in the historic period lasts for about 3 years. The volcanically-induced tropospheric temperature anomalies reduce below noise after approximately 7 years. The sea ice responds on the decadal time scale. Deep ocean temperature, sea level, salinity, and AMOC have relaxation time of several decades to a century. 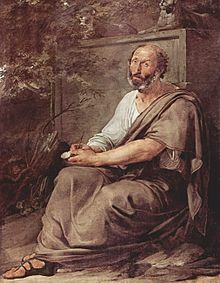 Aristotle was probably the greatest abstracter that ever lived. You might try actually reading some of his works instead of obsessing about one error he made in physics that someone told you about. Nice demonstration of pathological hubris mixed with ignorance. I had similar thoughts about that same Watts piece and its ilk. I thought to propose a name for the tendency: “agnotropism”, or the seeking out of confusion. Because, you know that the less we know or understand, the smaller the climate sensitivity, after all. It’s a fervent faith-based belief in the impossibility of structured knowledge about this particular field. And so whenever anyone comes up with a useful simplifying assumption or an effective analogy, its value is of no interest to the agnotropist. What is of interest is where the abstraction fails, not where it succeeds. Thus an impregnable fortress of ignorance is constructed. And therefore the sensitivity is zero, so carry on. Aristotle was the first – as in *first* – person to categorize and describe the rules of thinking, or logic. I would think that places him pretty high in the pantheon of “abstracters”. Your thinking on this point is confused. The key to scientific understanding is to know when to pare a problem down to its essence in order to extract a principle and when the problem can’t be pared down. Does CO2 increase, considered in isolation, lead to an increase in global mean temperature? Sure. Big deal. Do all other factors that effect global temperature perfectly cancel each other out leaving CO2 to act like a thermostat? Highly doubtful, but possible. What you imagine to be a superior ability to “abstract” turns out to be an inability to consider the uncertainty that that must remain in effect until sufficient data is obtained. Next Next post: Arctic Methane Emergency Group?